Walt Disney World Resort recently announced that the Backstage Safaritour at Disney’s Animal Kingdom will be discontinued as of February 27. A new, enhanced version of the tour will begin March 1, known as Backstage Tales. During this in-depth program, Guests will get an insider’s look at the innovative ways Disney is meeting challenges in areas such as conservation, animal nutrition and medicine, animal care and behavioral studies. Visit the Animal Nutrition Center and see how more than 3 tons of food are prepared each day. Go behind the scenes and explore a backstage animal-housing area. Tour the state-of-the-art veterinary hospital, where they may witness animals being treated. Stop by the Animal Programs Administration building and learn how Disney promotes global wildlife conservation and animal well-being. Backstage Tales, which joins Wild Africa Trek as a premium experience at the park, will be offered to Guests ages 12 years and older daily, 7:30-11:15 a.m. Guests can book the Backstage Tales tour now. 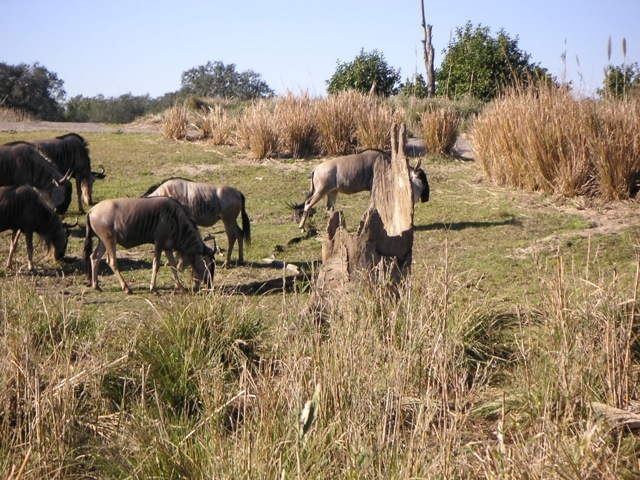 Guests can also continue to book Backstage Safari by contacting 407-WDW-TOUR (407-939-8687) for tours through Febeuary 27, 2015. Backstage Safari is offered every Monday and Wednesday through Friday, 8:30-11:30 a.m. and 1-4 p.m. Regular readers may know that we’ve done this tour twice: first with Asta and Mrs Asta in October 2012 (here) and more recently with our niece Nevie in September 2014 (here). @extrawdwmagic it doesn’t seem new to me either.